Preventive Conservation Equipment for Museum - Ace Dragon Corp. 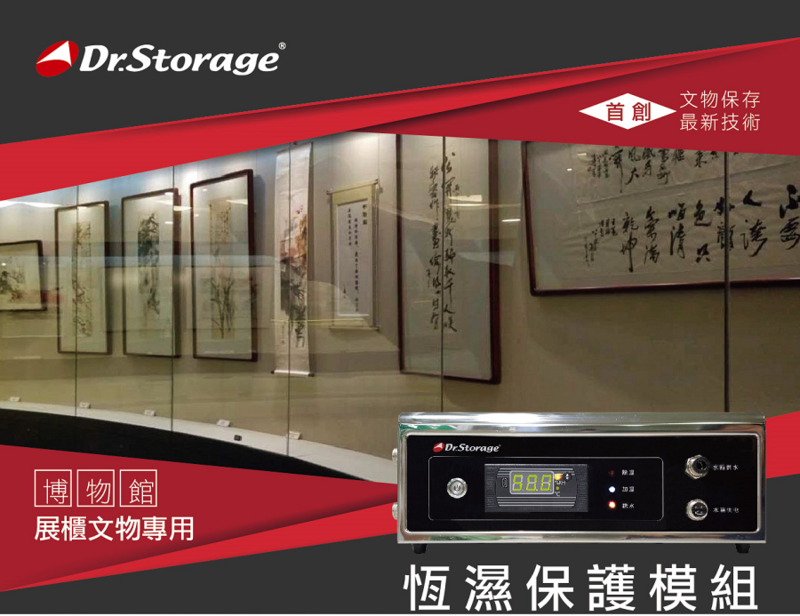 Ace Dragon Corp. is a trustworthy distributor in Preventive Conservation Equipment for Museum, and we're also involved with Dry Cabinet, Dry Box, Hygrometer. We have been specializing in manufacturing Preventive Conservation Equipment for Museum for many years, all with top quality. Bringing to you the latest technology in preventive conservation of constant humidity module, our Constant Humidity Module’s active micro-environment control technology is able to achieve constant humidity and maintain clean showcase environment according to the humidity requirements of the cultural relics. Our Constant Humidity Module meets the requirements for preventive preservation of cultural relics and has been approved for use by many museums. Together with our long working history with relevant museum professionals, these modules can be installed in the showcases of various materials according to the design requirements. 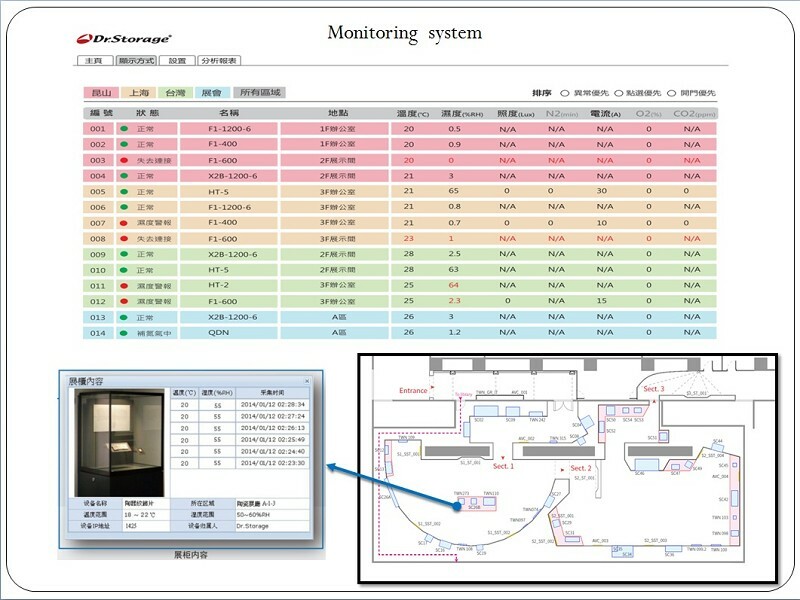 Monitoring system: Temperature and relative humidity record. Nation Palace Museum、National Museum of Prehistory、Chung Tai World Museum、Tamsui Historical Museum、Taipei Medical University、National Formosa University、Hebei Museum、Fujian Museum、Tiantin Museum、Shan Dong Museum、Museum of Sino-Japanese War、Aurora Museum、China Port Museum、Xuzhou Museum、Jia ding Museum、The famen temple, etc. All of the temperature and relative humidity will be recorded, displayed in the computer and mobile phone. The history of data can be shown as graph also. As a professional Preventive Conservation Equipment for Museum manufacturer, Ace Dragon Corp. has an excellent advantage over the competition, developing strong designs at very competitive prices but maintaining extremely high quality. For more customized demands that can’t be found in our standard product lines, we also can offer solution to combine your specific requirements into our newly design standard products.